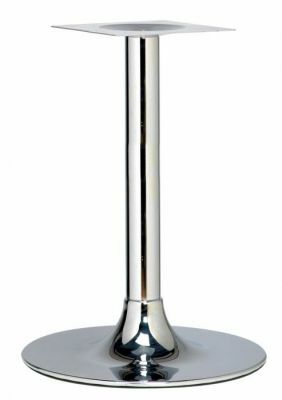 Bathroom quality Chrome table bases available in a choice of two heights and held in stock for a fast and free delivery. 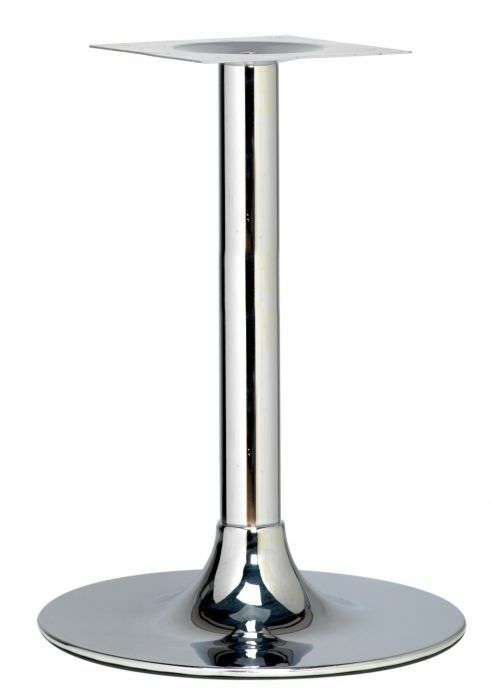 Trumpet shape table base held in stock for a delivery within three working days once ordered. Café tables with a distinctive trumpet base designed for commercial applications. These tables are held in stock for an immediate delivery and are delivered flat packed for self assembly.